The international duo at Mobile Ballet’s forefront blazons a renewed vision for the city’s performing arts. A wisp of perfectly coiffed hair dangles gingerly, brushing against the prima ballerina’s rouged cheeks. As she pirouettes, the soft swoosh of tulle is audible amongst the delicate tinkling of music. Childhood hopes and dreams are spun with each rotation of the statuette, and when the music fades, a key is turned and the magic begins again. Music boxes hearken naiveté, a time of innocence and dreams of satin slippers and ornate costumes and jetés around a lit stage. Since 1987, the Port City’s real-life music box, Mobile Ballet, has provided a place for inspiration and dreams to grow. Despite rumblings of recent diminution, the school’s turn piece is wound and playing brightly again. 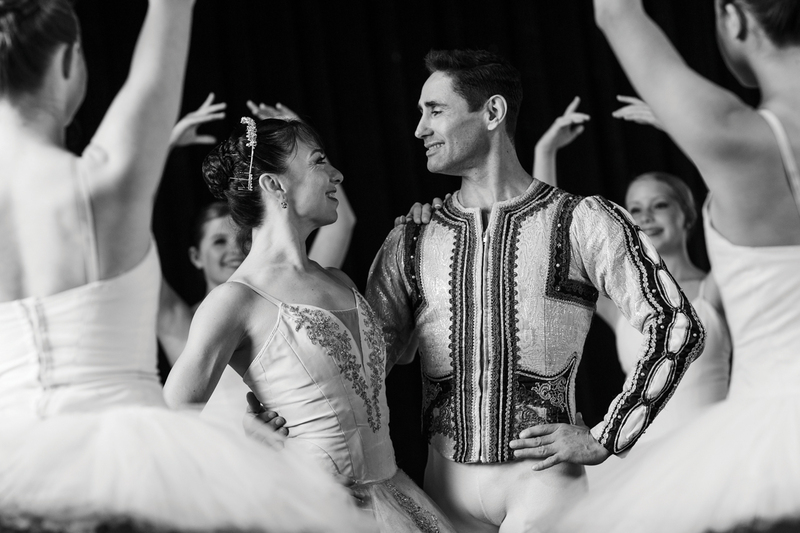 At the center of the rejuvenation are husband and wife Katia Garza and Israel Rodriguez, newly appointed artistic director and ballet master, whose onstage flair, grace and strength rival their modesty, sincerity and vision — a vision for more than just ballet. Born in the Mexican border-town of Piedras Negras, Katia began ballet classes at age 3, and by 10, she was dancing professionally. Her life appeared to be on track until a teacher’s remark about Katia’s size left her questioning her purpose. Not a typically framed classical ballerina, Katia was muscular, erroneous “proof” she had no place in ballet. Her story is not unique, but the way she dealt with it is. The inspirational documentary, “Katia Garza: My Life in Dance,” chronicles her tenacity. The couple’s costumes reflect their intricate past. Katia dons custom-made pieces, while Israel holds dear ensembles inherited from world-famous dancer, Fernando Bujones. From Monterrey to Orlando and points in-between, Katia and Israel say each place they have called “home” is chosen purposefully. The algorithm is simple: Find a city with great dancers, directors and community support. And they found it here. Not ones to be complacent, however, the couple makes it clear their goal is to humbly bestow their positivity, expertise and vision upon Mobile Ballet. And that vision? “I want the community to feel that Mobile Ballet’s school and company belong to them,” Katia says. And that starts with remembering the school’s trifold mission: providing superior dance education, presenting quality performances and promoting the ballet to the community as an expression of the human spirit. “I want to put all my energy into these children and the community,” says Katia, her veracious eyes and warm smile matching her words. “We are the ones in charge of bringing the focus back to the kids.” She and Israel are doing just that. “The school is the heart of everything, and Katia and Israel welcome every child and find a way to incorporate each one into whatever is happening,” says Kendra Utsey, Mobile Ballet office manager. The new leaders feel these positive changes are imperative for the studio, adjustments they know will take time. “Katia Garza: My Life in Dance,” the inspirational documentary about her life and craft, is available on iTunes, Amazon and katiagarzamovie.com.